I have released Boom 1.0. 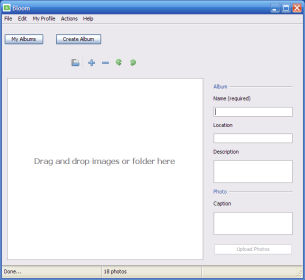 Bloom is a desktop app that let you upload your photos easily and efficiently to Facebook. Bloom is multiplatform and has been tested on Java 5 and 6 on Windows XP and on Java 6 on Ubuntu 7.04 and 7.10.